Republican Attorney General Brad Schimel has let the 3M corporation off without any financial penalty for air pollution violations during 2014 and 2015 at its Wausau manufacturing facilities. A few words about this latest episode of pollution, plus a few paragraphs of ‘follow the money,’ below. * Improving the environment and saving jobs are not mutually exclusive. 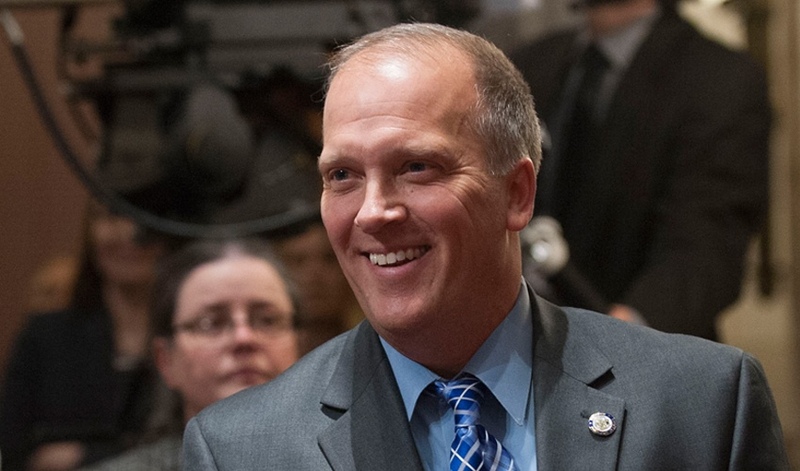 It’s not an either-or proposition, and Schimel knows it. *The 3M violations occurred on 29 days at two facilities in 2014 and 2015, so something of a pattern. * That “school fund” Schimel sniffed at goes all the way back to the state’s founding, is part of the State Constitution Schimel is sworn to uphold, and adds revenue for books and materials for school districts statewide where funds are often short and teachers commonly spend their own money for classroom items. There’s plenty of data in company financial documents indicating it could have absorbed any judgement sought by Schimel, including 2016 sales of $30,109,000,000, new income of $5,050,000,000, dividends paid to shareholders of $2,678,000,000 (including an increase for the 59th consecutive year, and fiscal year compensation for the board chairman and CEO of $14,500,000. * Gov. Scott Walker, with $29,500 collected since 2010, is the largest recipient of all 131 political contributions totaling $114,613 made by the 3M Political Action Committee. * Walker also received the largest single donation – – $10,000 – – when the average donation by the PAC over the years is $870. This is not the first time that a senior Wisconsin official has declined tough treatment for a polluter who has donated to the official’s campaign committee. Noted and documented by myself, by media and Wisconsin watchdog groups often, for years. Sigh. This wasn’t on the campaign literature I didn’t read back when I voted for Walker and Fox News didn’t cover this …I was just so happy he was against that half-fast train that nothing else he could do really mattered at all so long as my taxes went down $100. I wonder if I’ll be able to say the same thing when all the fish in my precious “up-north” fishing lake are all dead? Perhaps it doesn’t matter anyway…The fish will probably live long enough for me to enjoy in my lifetime and thank god, jesus and the holy spirit that my kids’ Catholic voucher school didn’t teach them that it could’ve been any other way. Ain’t life in Walker’s Wisconsin grand?